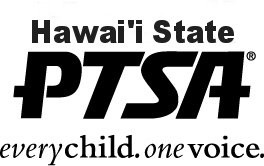 Several statewide board positions will be up for election at the 92nd Annual Convention of the Hawaii State PTSA (April 13, 2019). Please note the chart of Hawaii State Board positions below. Positions currently filled include the name of the current board member, as well as the date their term is up. Positions up for election at the upcoming convention and vacant positions are indicated in red. We invite you to submit your recommendations, via the Potential Leader Form, to our State Nominating and Leadership Development Committee. If you are interested in learning more about volunteering at the state level, please feel free to email: histateptsa@gmail.com or complete the Potential Leader Form. Convention 2019: Election at General Session of Convention, by ballot or voice voting.